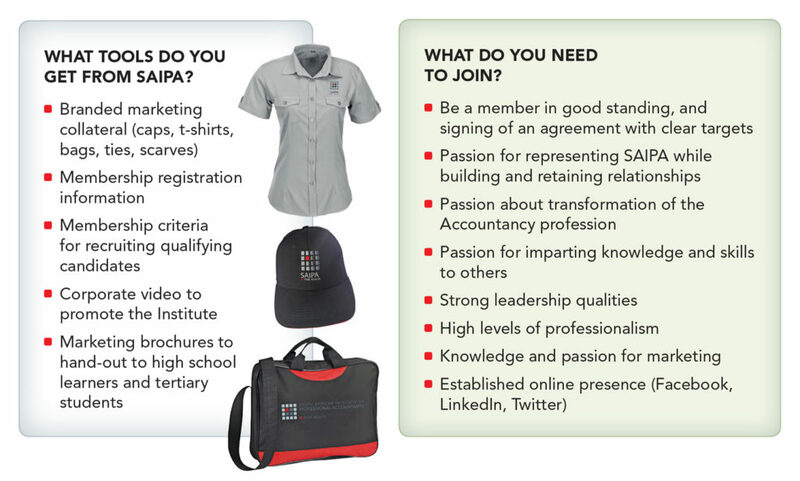 The #1000 Brand Ambassador Programme is SAIPA’s referral marketing strategy aimed at growing SAIPA’s membership base. The target is to reach 1000 ambassadors by 2020; hence the programme is code named #1000 Ambassadors. As a SAIPA Brand Ambassador, when you refer a minimum of two members and two trainees who successfully join SAIPA, you will start to earn benefits towards your CPD costs. The Programme gives ambassadors special treatment and incentives to help SAIPA meet its growth and transformation targets. SAIPA will provide you with the tools to be an effective brand ambassador, e.g. marketing collateral, new member forms, etc.